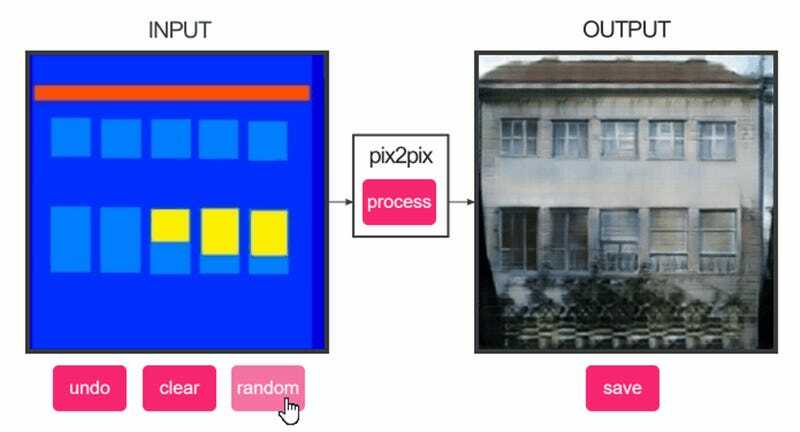 pix2pix is a program that lets you draw something in a box and have a computer turn it into a photo, using...well, magic. There is now a website version of it, and it’s both the most impressive and horrifying thing I’ve seen today. Think Google’s Deepdream, only furrier. Just draw a doodle on one side, press a button and you get a “photo” of the sketch on the other, stitched together as a composite made from actual images of the thing you’re drawing. It doesn’t work for everything, just items that it has a collection of images for, but those items include shoes, bags and, most importantly, cats. Here is a portrait of my cat, Koko. The likeness is...not bad. Here is a drawing of a cute fat cat wearing a bowtie. This is a picture of Nathan’s cat. Nathan doesn’t have a cat. As you can see, results may vary. Sometimes you get a cat. Sometimes you get a Hell Owl. And sometimes you get the harbinger of the end of man. Moving on from cats, below is my shoe. The colour is wrong, but this AI shoe is pretty swish in its own right. And here are some random buildings that, again, it does a pretty good job of “building”. If you want to try this out, you can doodle your dreams/nightmares here.